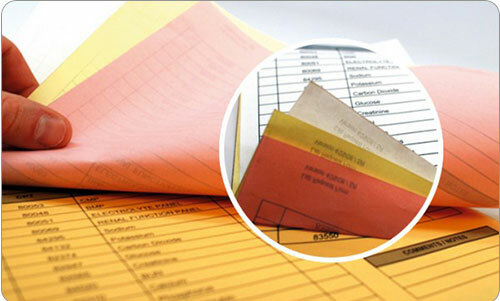 Continuous Business Forms have tractor feed holes for impact printers or high-speed laser printers. Snap-Outs (also called Unit-Set Forms) are for hand-written information. Laser Business Forms printed with heat resistant inks, for lower volume desk-top printing or ultra-high speed data processing applications. 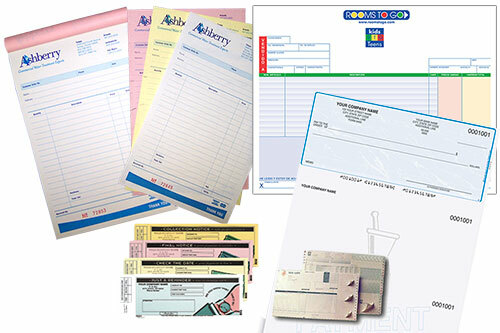 We can also put labels on your business forms, or help you design Form-Label Combination Documents. See our Form-Label section for more ideas and information. Call and speak with one of our document specialists, or send us the business form printing specifications you are working on right now.